...when you walk 4.5 miles first thing in the morning and it INVIGORATES you!!! All this week I've been reveling in how blessed I am, and today, one of my new friends came over and we walked 4.5 miles together! She left and I jumped in the pool for a while, and I feel so great, I wanna go out and do everything I've been putting off for lack of time! I've just got to get out and burn off all this excitement, put it to use, pump someone up! 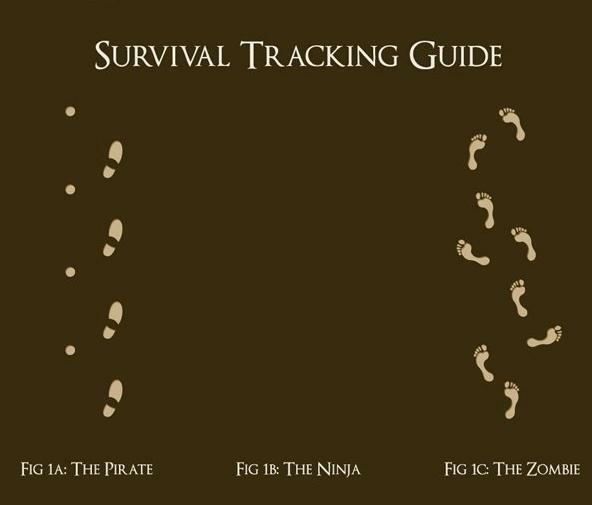 For those of you into adventure hiking, and you're interested in knowing what the tracks are that you sometimes come across, I came across this handy little guide that may help you out. 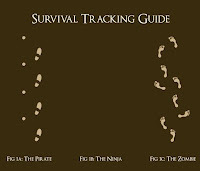 I'm amazed at how many NINJAS there are around here! Get out and do something today! Maybe you'll see me out there! I need to borrow some exclamation points, anyone got some? !